Creekwood Village in Schwenksville, PA is an age-restricted community in Skippack Township. This 55+ neighborhood of low-maintenance homes is situated in Montgomery County near major roadways, daily conveniences, and historic attractions. Homeowners enjoy access to private amenities that cater to active adults. Not only do residents appreciate a carefree lifestyle but they also enjoy the company of neighbors and friends for fun activities and events. The clubhouse at Creekwood Village is the center for social and physical activities. This facility is complete with a large multi-purpose room and catering kitchen, ideal for hosting a meeting or holiday event. Creekwood Village s thoughtful amenities continue outside of its charming clubhouse. The outdoor pool is the perfect place to swim laps or simply relax on a hot summer day. Homeowners use the trails for walking, jogging, and biking on nice days. There are 80 residences built between 1999 and 2003 that encompass Creekwood Village. Available on a resale-only basis, homebuyers can find a single-family home along Scenic View Drive or Club House Court. These ranch homes typically have two to three bedrooms and two bathrooms. All homes are complete with an attached one or two-car garage and have approximately 1,000 to 1,800 square feet of living space with low-maintenance exteriors and private outdoor areas. The residents of Creekwood Village take advantage of owning a maintenance-free home by joining or creating a group that meets on a weekly basis. You ll be sure to find something happening at the clubhouse every day of the week. Some fun activities and games include bingo and dominoes. It s never hard to meet your neighbors and make new friends because a weekly coffee and donut event makes it easy to socialize. Exercise classes like water aerobics are a great option for fitness-minded folks. 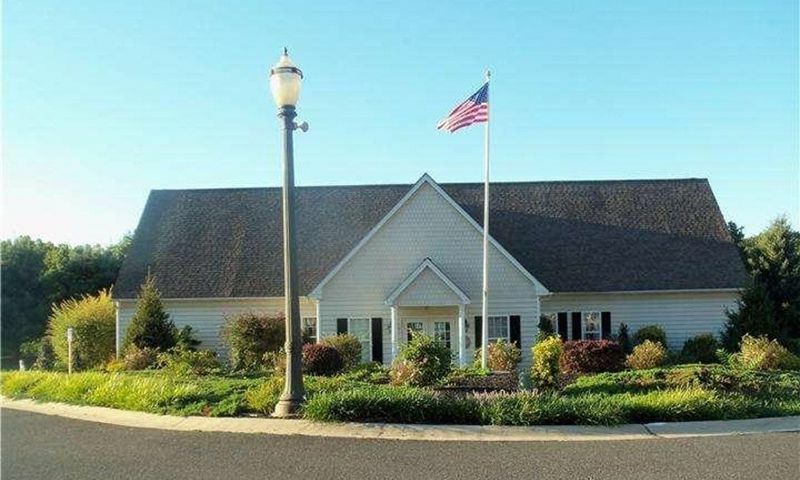 This active adult community in Eastern Pennsylvania enjoys a convenient location near many recreational venues. Just across the street, Central Perkiomen Valley Park offers 800 acres of playgrounds, picnic areas, pavilions, and areas for volleyball and shuffleboard. Fishing is even accessible through Perkioman Creek and over 19 miles of trails provide the perfect place to walk, jog, or horseback ride. Farther away, the city of Philadelphia and the Philadelphia International Airport are both a little under an hour s drive away. Creekwood Village is a quaint 55+ community that offers affordable homes, a vibrant lifestyle, and quiet location in Schwenksville, Pennsylvania. There are plenty of activities available in Creekwood Village. Here is a sample of some of the clubs, activities and classes offered here. Creekwood Village consists of 80 single-family homes built between 1999 and 2003. These ranch homes typically have two to three bedrooms and two bathrooms. All homes are complete with an attached one or two-car garage and have approximately 1,000 to 1,800 square feet of living space with low-maintenance exteriors and private outdoor areas. Please Note: Floor plans are not available at this time. I'm a single gal and wanted a home that I could easily afford in a nice neighborhood that was still close to my doctors and favorite local shops and restaurants. I bought my home here about 5 years ago and got a great deal. I like that the community is small and the location is great. The park across the street is fantastic and I walk there nearly everyday, even in the winter if it's not too cold! It keeps me feeling young and after a walk in the park on a cold day, us girls meet up for coffee and a donut as a treat! 55places.com is not affiliated with the developer(s) or homeowners association of Creekwood Village. The information you submit is distributed to a 55places.com Partner Agent, who is a licensed real estate agent. The information regarding Creekwood Village has not been verified or approved by the developer or homeowners association. Please verify all information prior to purchasing. 55places.com is not responsible for any errors regarding the information displayed on this website.